As a single parent who had saved up all my vacation time to write the best-selling American novel and live in the country with my seven-year-old son, I was virtually starving. All I could afford to serve for Thanksgiving Dinner was peanut butter and jelly sandwiches. I sat on the kitchen floor of the rented mobile home in the Great Basin Desert of northern Nevada and cried because people all over the U.S. would celebrate Thanksgiving with their families, digging into turkey and trimmings, followed by gloriously unhealthy desserts while all I could give my child – who happened to love turkey – was peanut butter and jelly. A knock on the door brought me to my feet. I hastily dried my tears and answered the door. Our lone in-the-middle-of-nowhere neighbor stood on the porch. She invited us to Thanksgiving Dinner at her house. Since she was elderly, we went early to help. Enter her family. Her son staggered through the door with six-packs of beer under both arms and an open one sloshing all over the floor. Without greeting his mom, he plopped down in her comfy chair and turned on the TV to a football game. His wife spewed profanity – mainly aimed at her husband – as she plopped down in the next most comfy chair in front of the TV. Enter the two teens. The boy had safety pins hanging off both ears, both eyebrows, both nostrils and tattoos and studs in other improbable locations on his body. He openly smoked a joint as he shouted profanity at his parents. The girl had multi-colored hair, earrings and nose hoops and wore a mini-skirt and a low-cut bodice in spite of the snow. Like her other family members, she failed to greet Mrs. Merika, but at least she didn’t enter the curse-them-dead feast. Poor Luke had never heard such foul language before and was shocked. Luke set the table while Mrs. Merika and I put out the food. The visiting family fell on it like a pack of coyotes – not even thanking the Lord or their mom/grandmother. Luke, Mrs. Merika, and I clasped hands and prayed together. After the meal was devoured, Mrs. Merika and I put up the leftovers, did the dishes, cleaned up the kitchen. Then Luke and I walked home through the snow. A Thanksgiving lesson never forgotten. It grieves my heart that he is celebrating Thanksgiving in Heaven this year instead of with us, but he lives on in the prophetic poem he wrote a year before his airplane crash. 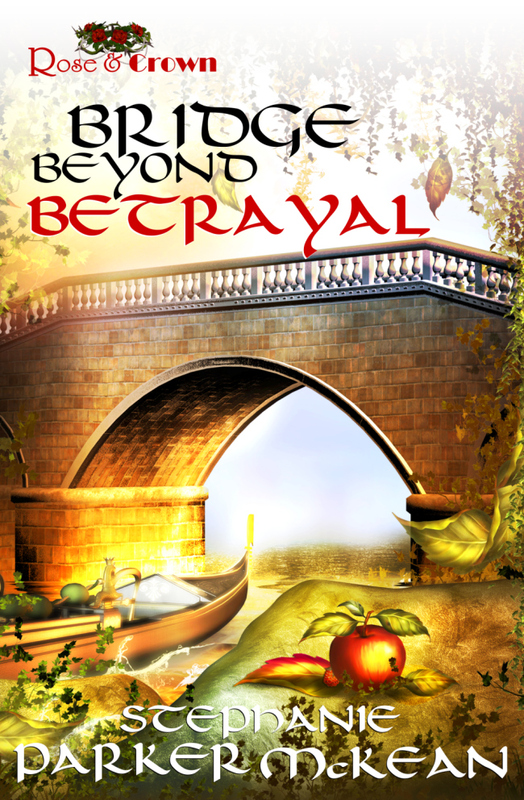 It’s in the opening pages of Bridge Beyond Betrayal. Happy Thanksgiving, Luke. I love you, Son! Posted on November 26, 2014 by authorstephanieparkermckean •	This entry was posted in Uncategorized and tagged lesson, Nevada desert, Thanksgiving. Bookmark the permalink.